For many people, warm weather means spending less time indoors and more time outside enjoying the sunshine. But too much time in the sun isn’t always fun and games and can sometimes result in heat-related illness, such as heat exhaustion or heat stroke. Heat-related illnesses can cause serious symptoms such as diarrhea, vomiting, headache, seizures, and even death, so it is important that you are able to recognize the signs before your next outdoor adventure. There are four forms of heat-related illnesses you should be concerned about when spending time in the sun. Heat cramps are painful muscle spasms (usually in the stomach, arms, or legs) that occur when the body loses water and salt due to sweating. Heat cramps are less severe than heat stroke and heat exhaustion, but should be monitored closely. Heat rash is the least severe form of heat-related illness, and happens when sweat doesn’t evaporate from the skin. Heat rash causes clusters of red bumps to appear on the skin. Heat rash and heat cramps, although less severe than stroke or exhaustion, should be monitored closely. If you have heat rash or heat cramps, you should get out of the heat and move to a cooler environment. You should also drink plenty of water to stay hydrated, and if the symptoms do not get better after a few hours, visit a healthcare provider as soon as possible. If you or someone you know are experiencing any symptoms of heat exhaustion, get out of the heat immediately and cool off with water and ice packs. If the symptoms to not go away after an hour, visit the emergency room immediately. If you or someone you know begins to experience any of the symptoms of heat stroke, call 911 immediately. If you can, try to move to a shady area, remove outer clothing, and drink water until an ambulance arrives. 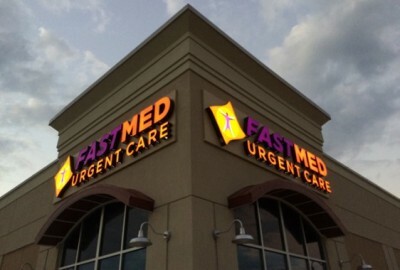 For non life-threatening heat-related illness, visit your local FastMed Urgent Care for prompt treatment. To help make healthcare more affordable, we offer a self-pay Savings Plan and accept most major insurance plans, including Medicare and Medicaid.